Why did people choose the Reformation? What was it in the evangelical teaching that excited, moved or persuaded them? Andrew Pettegree here tackles these questions directly by re-examining the reasons that moved millions to this decisive and traumatic break with a shared Christian past. He charts the separation from family, friends, and workmates that adherence to the new faith often entailed and the new solidarities that emerged in their place. 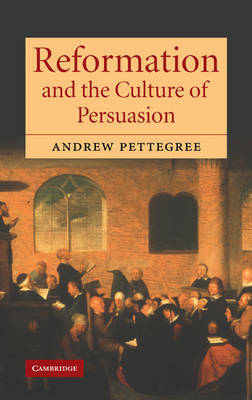 He explores the different media of conversion through which the Reformation message was communicated and imbibed - the role of drama, sermons, song and the book - and argues that the potency of print can only be understood as working in harmony with more traditional modes of communication. His findings offer a persuasive new answer to the critical question of how the Reformation could succeed as a mass movement in an age before mass literacy.